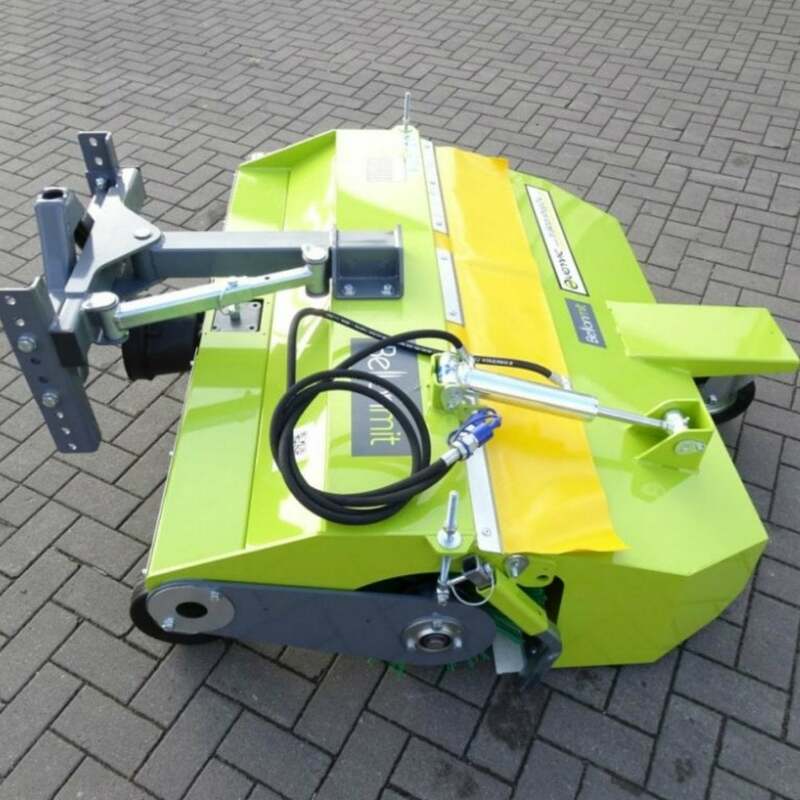 The TSPF Front Sweeper has been developed to fit tractors from 18 to 60 Hp. The compact design improves the handling to guarantee a fast and accurate work in any conditions. The TSPF Front Sweeper is equipped with roller brushes and suitable for snow removal and dirt and debris removal on driveways. The machine is extremely versatile and ideal for cleaning driveways, service areas, car parks, yards, and snow removal. The gearbox, featuring fully hardened steel gears and ball bearings in oil bath enclosed in a cast-iron housing, and the double-chain secondary transmission reduce maintenance to a simple periodic check of the oil level and brush wear.